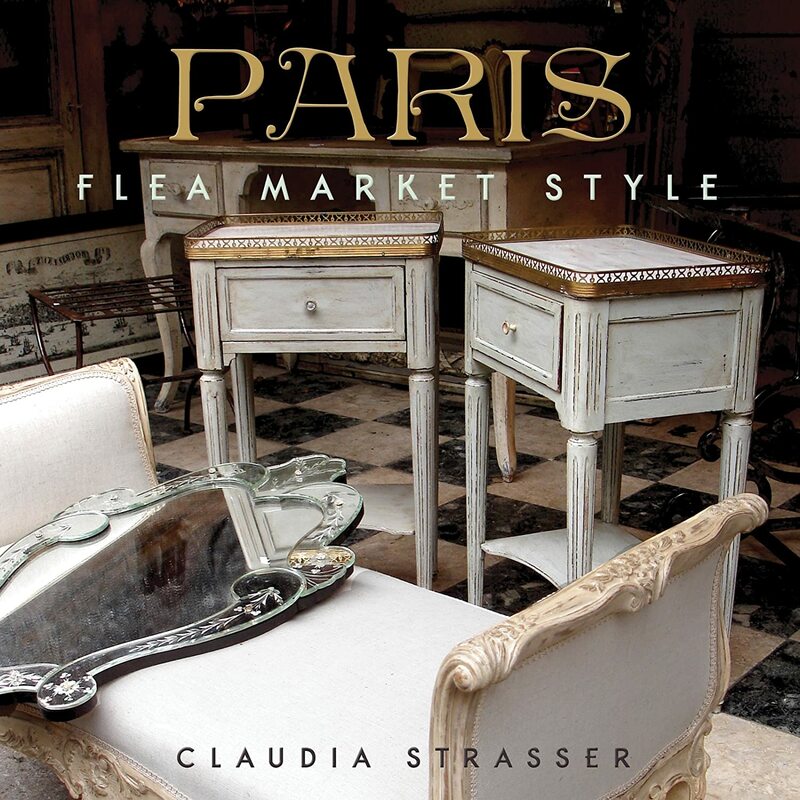 A week or so ago I received my pre-ordered copy of Paris Flea Market Style by Claudia Strasser (of the site / blog The Paris Aparment). I first heard of Claudia through her online boutique, which has some of the most amazing French antique finds- they are truly from a fantasy. And of course, the first question on my mind was, "Where did she find these amazing things?" Paris, duh. It says so in the URL. 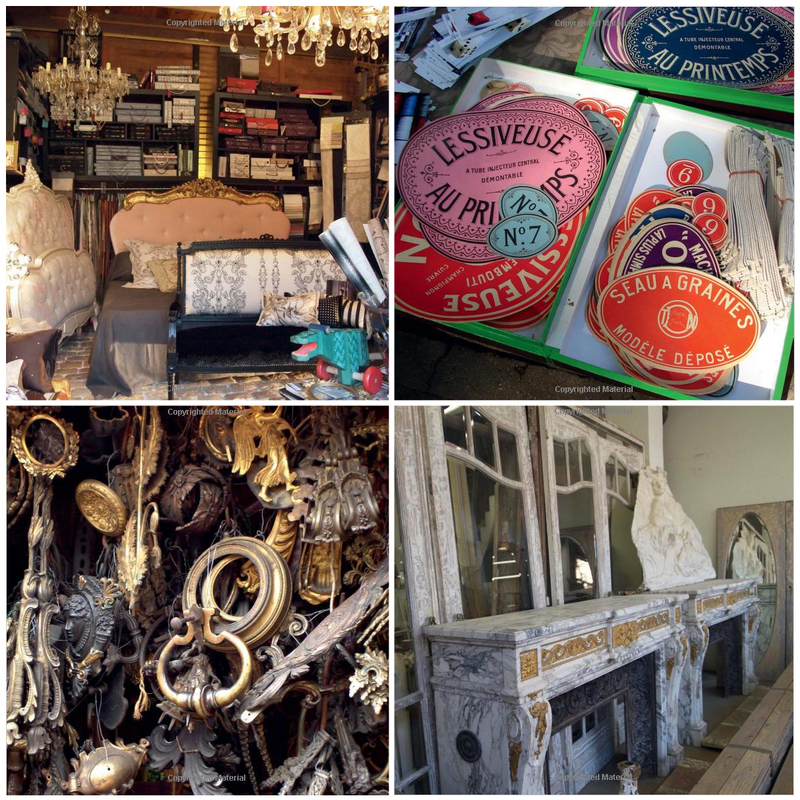 The book is a whimsical stroll through Claudia's search for said treasures, which she finds in the Paris Flea Markets and then ships home for restoration. As any self-respecting Francophile would command, the book indulges in romance and decadence on every page. It would be sickening if it wasn't so damn magical! You can read the whole thing in an hour and gain a lot of valuable insight from someone who has dedicated her career to treasure-hunting. Or you can leave it on your coffee table for people to peruse in small, lovely bites like a frou-frou macaron. The book reads like an indispensable tour guide with very specific advice from an obvious expert. 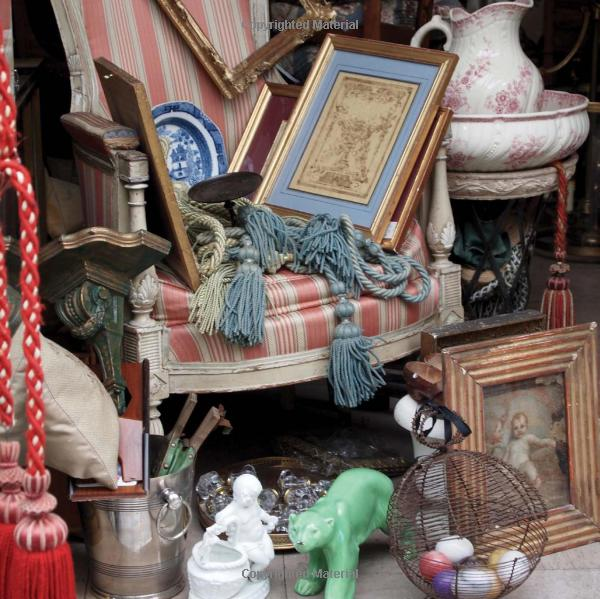 Claudia gives us descriptions of the various flea markets in the city, which markets specialize in a particular item, when to go, how to search and what exactly to look for to find value and authenticity. For me, her insistence that shipping items from the Paris fleas is a simple process was encouraging. I have foreign shipping anxiety, well among other forms of anxiety. Flea markets because I lament the loss of skilled handwork in modern design and antiques are most affordable at flea markets. Paris because the French have excellent taste in design (not up for discussion). Also, the last time I was in Paris I was in college and only spent 36 hours in the city. I called it "Speed Paris" because my fellow study abroad-mates and I hit up all the "must-see" sites one after the other, Amazing Race-style. Top of the Eiffel Tower? Check! Champs Elysses / Arc de Triomphe combo? DONE. Off to the Louvre- go straight past the Winged Angel and on to the Mona Lisa. Smile with an Asian tourist! Click! OK taxi boat to Notre Dame. 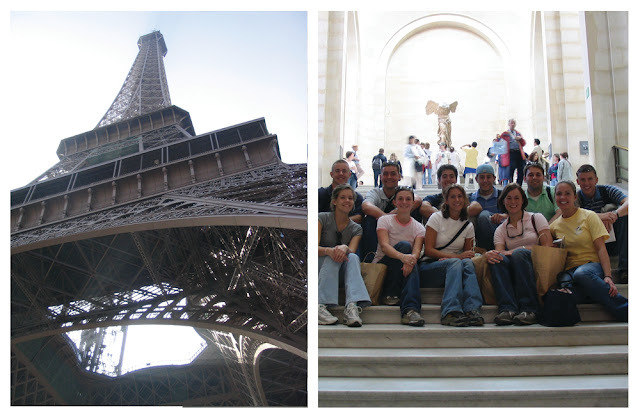 In hindsight, it was pretty much the worst way to experience Paris. Now I need to go back to Paris, preferably without looking like a rapid tourist. I want to stroll. I want to sip. I want to see! 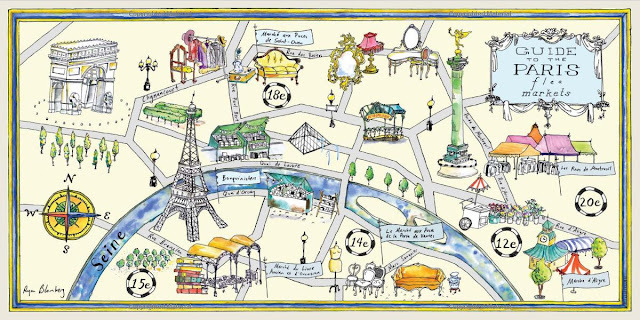 And after going through Claudia's book, I am certain it's a must-bring to help me find some wonderful Parisian treasures to bring home. In fact, I'm pretty sure Claudia herself is a must-bring. We could totally be BFFs, right? As someone who has always dreamed of visiting the Paris flea markets, this book preaches to my choir. If you are so inclined, you best grab yourself a copy of the book and then call me immediately so we can start planning our shopping trip! *Note: This post is a safe place. There will be no mention of cost, currency, exchange rates or other practical notions. The French have no time for such minutiae. Wait- if shipping is really that easy I may have just found how we can afford to go to Paris. I'll get the refrigerator boxes. I have no shame... we can buy some chaise lounges and bring a flashlight! Great idea! Beth, hope you're joining us in May for H2H - this whole thing is based around my need to be antiquing in the Hudsons with a minibus for transport.